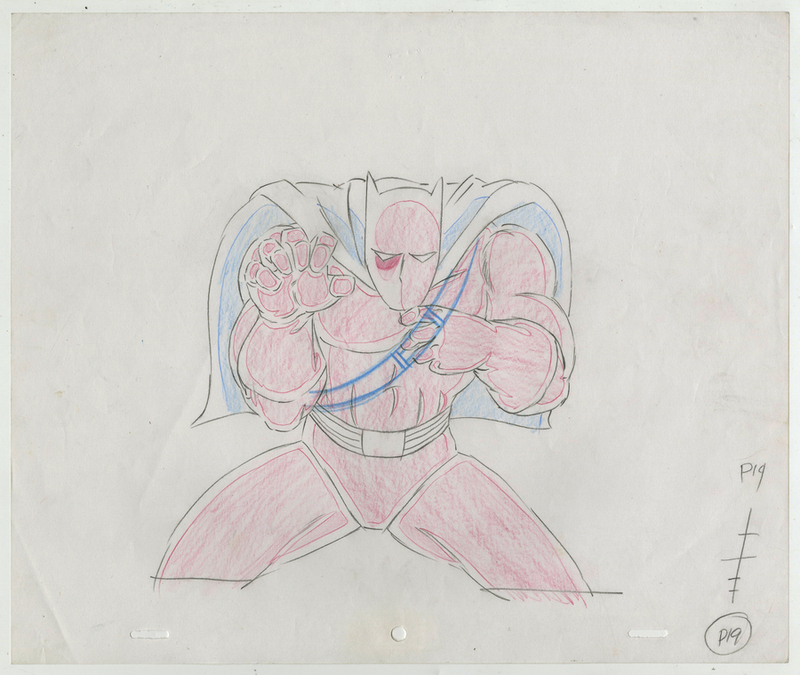 This is an original production drawing from the Marvel Studios production of the 1994 Fantastic Four episode, Prey of the Black Panther,. 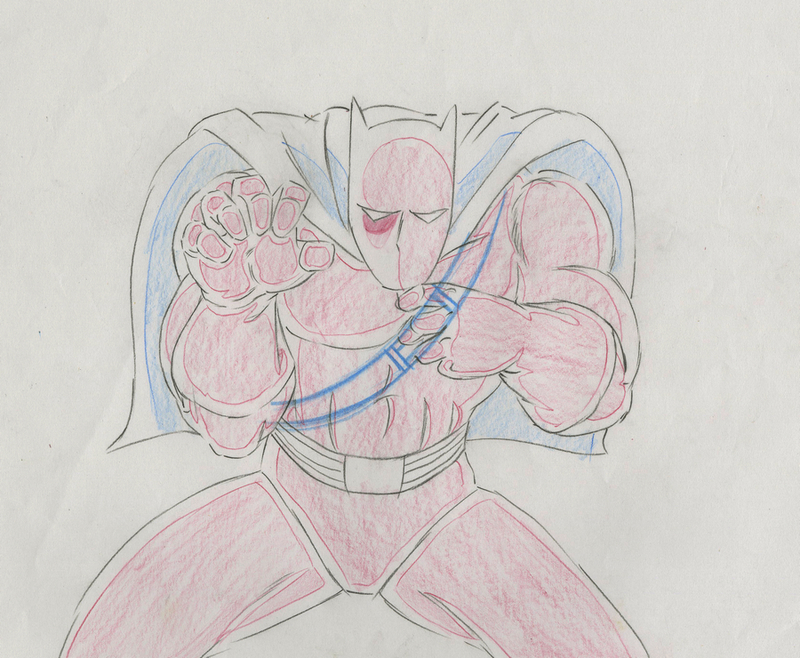 This drawing features a rare image of Black Panther, who only appeared in the 1994 Fantastic Four episode, Prey of the Black Panther,. The overall measurements of the setup are 10.5" x 12.5" and the main image area measures about 6.5" x 7.5". The drawing is in excellent condition.